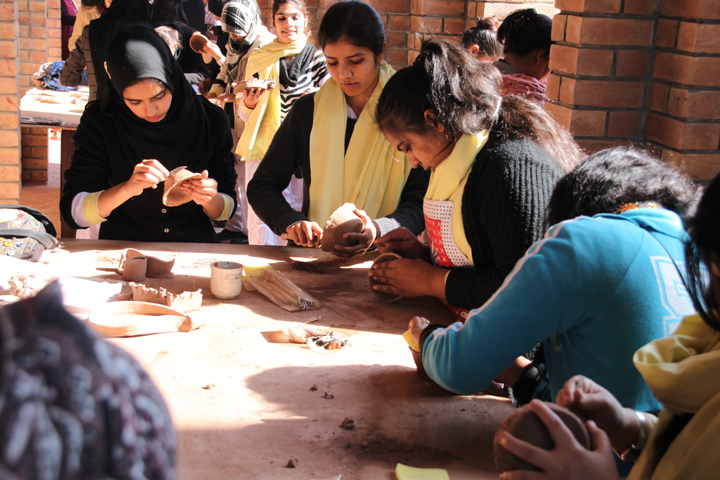 More than 60 art students from different colleges, universities and artists of twin cities (Islamabad and Rawalpindi) had the chance to explore the art of ceramics at an art workshop organized by Pakistan National Council of Arts (PNCA). 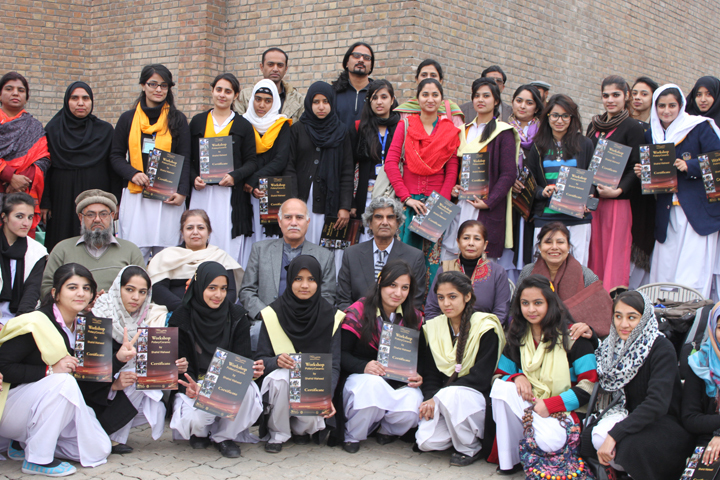 The ten-day workshop held from January 29-February 7, 2015 was conducted by renowned ceramist Shahid Waheed of National College of Arts, Lahore. “Art is a powerful tool for changing and molding perceptions towards peace, tranquility and better life” and PNCA is committed to offer creative opportunities to the young talent to explore their potentials through these workshops and lectures, said Mr. Naeem speaking at the certificate awarding ceremony of the ceramics workshop held at the National Art Gallery on Friday. The participating students were offered essential information and practical training of pottery making. 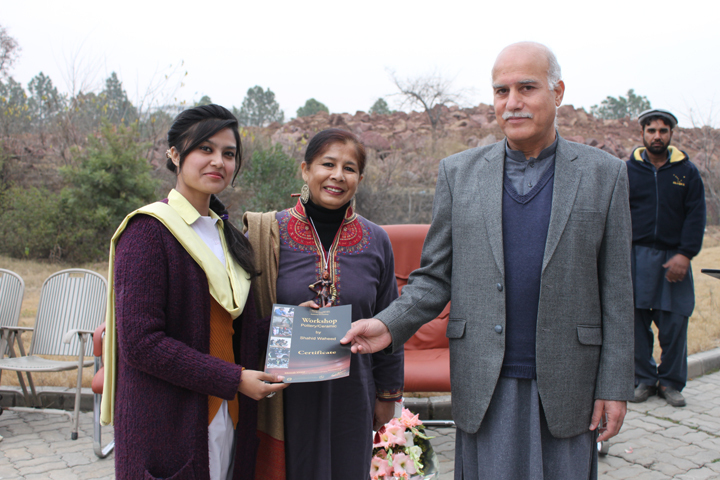 Young artists appreciated the efforts of PNCA in polishing their artistic skills and asserted that such art workshops should be regularly arranged for the promotion of arts and culture. Group photo of ceramics workshop participants.